It’s no secret that Volkswagen is going through a rough patch right now. 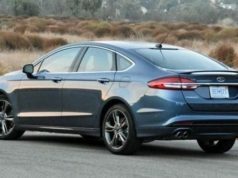 In fact, it’s much more than that; the company’s entire diesel model line-up is under scrutiny and they are facing a tsunami of lawsuits and recalls from around the world that could threaten the company’s very existence. To say that consumers’ confidence in the German company has been shaken is putting it mildly and they are on a lot of people’s s*** list. In the meantime, life goes on and VW is still doing business, with a full range of compacts, sedans, and SUVs offered for sale in Canada. VW’s use of “defeat” technology in their diesels may be questionable, but they still make some desirable automobiles. Which applies to the CC. Previously known as the Passat CC, this is what VW describes as a four-door coupe and is probably my favourite Volkswagen. A few particulars. For 2016, two versions of the CC are available: the Highline and Sportline. Both are powered by a 200 horsepower, turbocharged four cylinder that delivers 200 horsepower. This engine is also found in the GTi. Front-drive, these two models feature VW's six-speed DSG automatic transmission. 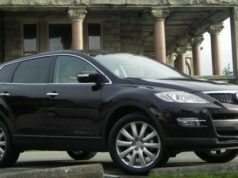 I drove the Highline model, and the gearbox, in my opinion, is this car’s only shortcoming, which I’ll get to shortly. Whichever version you choose, you’re getting one of the smartest looking four-doors on the market. The CC gets my vote as one of the prettiest models out there, and can arguably trace its styling in part to Mercedes and the stunning fifth generation S-class, penned by Mercedes' styling department chief, Peter Pfeiffer in 2005. But the CC is more than a pretty face. Slide behind the wheel and you’re ensconced in a roomy airy interior with all kinds of peripheral visibility and beautifully coordinated ergonomics. No driver-unfriendly switchgear here…..everything is easy to understand, straightforward to use, and non-fussy. Among other things, the Highline comes with heated seats (three settings), leather interior, steering wheel paddle shifters with the automatic model, dual zone climate control, and a massive sunroof. With the exception of hyperactive rain-sensing windshield wipers, absolutely no complaints here. Regarding the automatic. In a nutshell, it’s just too fussy and spends a lot of time hunting for the right rpms. I prefer something a little less vague. The engine in this car is a fairly robust one, delivering a purported 207 foot-pounds of torque….it’s lost on this gearbox, which sometimes felt like a CVT. In my corner of the universe, this is unacceptable. Elsewhere, the CC is a sublime highway cruiser. Not because it’s blessed with an abundance of power, but because VW has managed to almost completely isolate road and tire noise. Aside from some top of the market luxury sedans, I don’t think I’ve ever been in a quieter automobile with such a low NVH (noise and vehicle harshness). Engine speed at 100 km/h is just a titch over 2000 rpm, which helps a lot, and the CC is well-planted and stable. And talk about trunk space, the CC’s got it. There’s 13.2 cubic feet (373 litres) of room back there, with a slick little pass-through feature in the centre armrest….perfect for skis and such. Which brings me to fuel economy. This is the carbuncle on Volkswagen’s backside right now, and the reason so many people are pissed off at the company. Briefly put, VW surreptitiously installed a tricky bit of software in its diesel cars’ on-board computers, which will “defeat” the car’s normal settings and temporarily deliver false fuel economy numbers during testing. Without getting into it, VW got caught with their hand in the cookie jar and the votes are still coming in whether or not the company can survive this little imbroglio. As for the CC, VW recommends premium grade fuel and says it delivers 10.7 L/100 km in the city and 7.7 on the highway, when equipped with the DSG autobox. I guess we’ll just have to take their word for it. Fuel Economy: 10.7 litres per 100 kilometres (city) / 7.7 (hwy). Premium fuel. 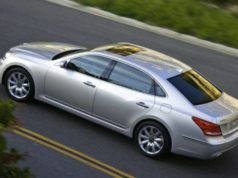 Alternatives: Nissan Maxima SL, BMW 2-series, Mercedes C-class, Lexus IS, Acura TLX, Kia Cadenza, Hyundai Genesis.